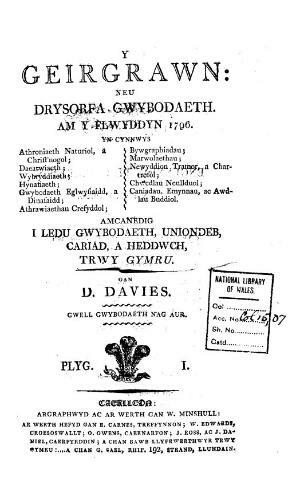 A monthly Welsh language general and political periodical that supported Radical positions. The periodical's main contents were political and religious articles alongside poetry. The periodical was edited by the Congregationalist minister, David Davies (d. 1807).